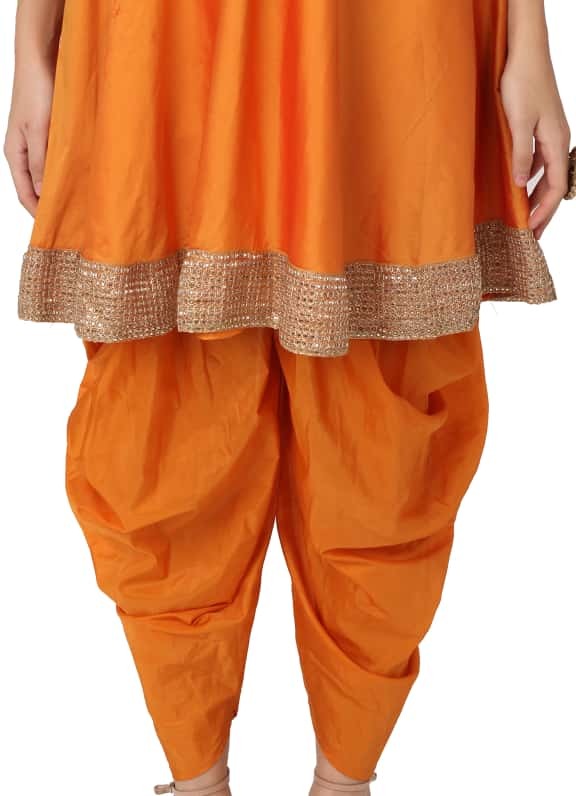 This bright monochrome ensemble comes with a short anarkali with a gold gota border and a cut out back. 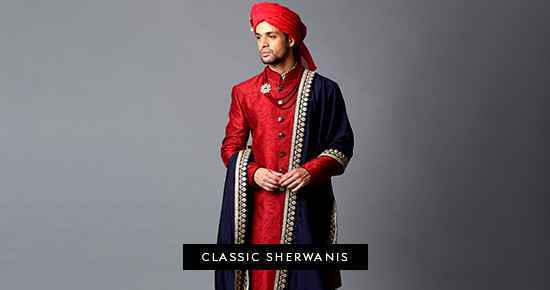 It is paired with matching dhoti pants. 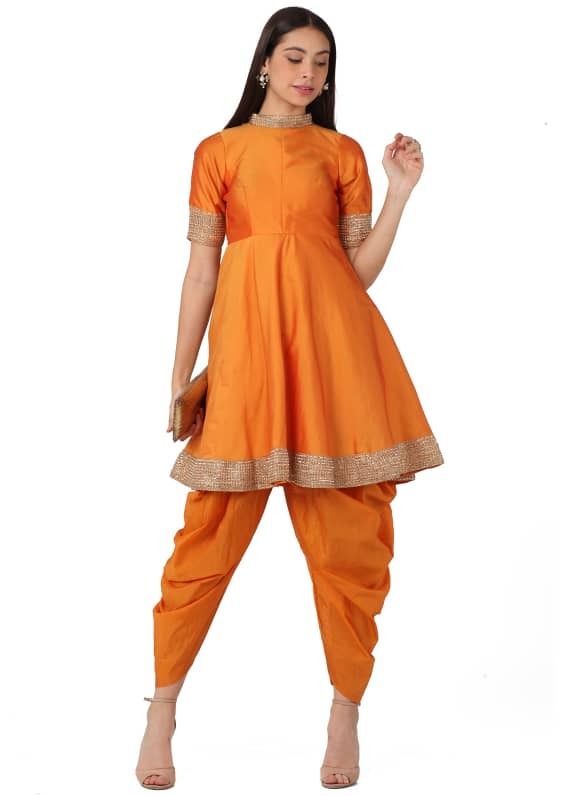 Wear this offbeat dhoti anarkali set for a mehendi ceremony and style it with a ring and clutch by Amethyst and earrings by Micare.